By 2025, the global market size of multi-factor authentication will be $17.76 billion, reports Grand View Research. The extensive growth is as a result of growing security controls, advances in biometric technologies, the increasing use of cloud services and smart devices at workplaces. Due to the ever-increasing cyber-attacks, compromised credentials such as weak user passwords on mobile devices are the leading cause of data breaches which hackers prey on. Multi-factor authentication enhances the security of your organization and online user transactions by implementing multiple layers of protection when accessing data on the networked devices. Billions of breached files containing personal information are circulating on the dark web. In December 2017, one hacker’s website included 1.4 billion usernames and passwords stolen from unsuspecting clients and users, making it one of the biggest data breaches ever discovered. With plenty more data breaches yet to be unearthed, implementing strict authentication security is essential for any user browsing the internet. Let’s start by defining what multi-factor authentication is before looking at how multi-factor authentication helps aid in securing data in the mobile devices. A top mobile storage website, Bulk Memory Cards notes that most people prefer backing up most of their files including photos, music, and video on storage devices like memory cards and flash drives. Nevertheless, the data stored is still the primary target for the hackers. Multi-factor authentication (MFA) is a security feature that uses multiple methods to authenticate a user as independent categories of credentials are utilized for verification of the user’s identity login or other transaction. 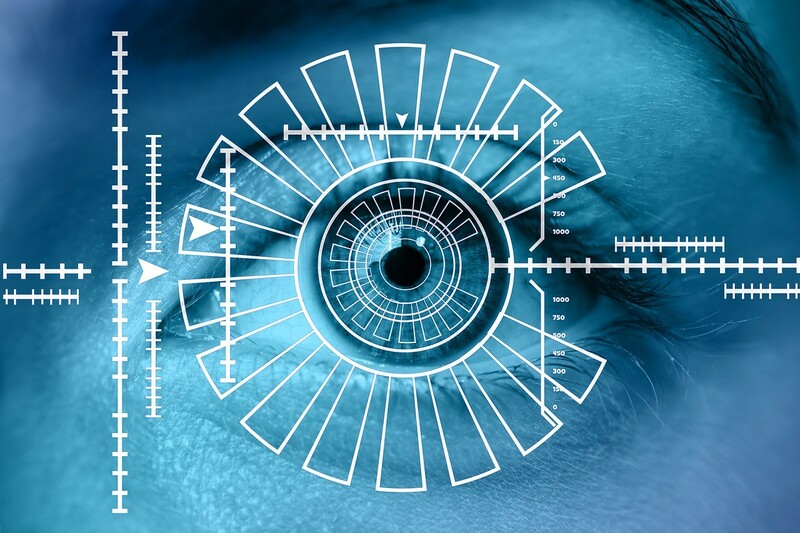 It combines two or more independent credentials unique to the user, such as a security token and fingerprint or other biometric identification along with the username and password. The primary purpose of MFA is to come up with a series of defense mechanisms to make it more difficult for any unauthorized user from accessing the targeted data. In case one security factor is breached or compromised, the hacker still has at least more than one barrier to overcome before successfully obtaining the information. With multi-factor authentication, more is needed than just knowing your username and password alone. Additional credentials are required such as something you know. For instance, your mother’s city of birth, a code issued via SMS or email, or something like your fingerprint or face identification that the hacker doesn’t have. These secondary factors regularly change after some time or expire after use. They are delivered through a text message or secured applications in your mobile device, making it virtually impossible for the hacker to access. Multi-factor authentication, therefore, provides an extra layer of security in your device, increasing the difficulty of unauthorized persons to gain access. Passcodes or passwords are becoming increasingly susceptible to hacking. With hackers advancing their techniques in this modern techno-savvy world, a data breach on one account allows hackers to access all the other accounts that have the same username and password. This occurrence is because people use the same password for multiple accounts. Multi-factor authentication adds an extra layer of security to your accounts to ensure your confidential and sensitive information stays safe, even in the event where someone was to know your password. This second factor is separate and independent of your usual username and password step. Multi-factor authentication never uses or sees your password. Companies must balance between security and user convenience of employees for the successful implementation of multi-factor authentication. Then afterward, they can decide the most suitable multi-factor authentication options based on their user experiences. The currently available methods include hardware tokens which are small smart devices that users carry with them. These tokens generate one-time use passwords every time the user wants to access the system. Soft tokens also create a unique password sent to the user mobile phones application making them a cheaper option compared to hardware tokens. Other authentication methods include one-time text messages sent to the user mobile phone, confirmation phone calls, verification through email and predefined questions based on the users’ personal information. The final multi-factor authentication method is the use of biometric recognition, popularly used in today’s smartphones. These are some of the choices you can use and implement to improve mobile data security. There are several benefits associated with the use of multi-factor authentication in our mobile devices. The most important is it strengthens security on the data stored. As discussed earlier, multi-factor authentication compensates for the weakness of other security features like simple username and password logins. Unless the hacker has all the other factors provided by multi-factor authentication, such as fingerprint, voice, facial recognition and other supplements, they will be unable to access the account or data. Their inclusion makes authentication easier for users and processes more secure. It is unique to individuals, and the details remain on the device, rather than being stored far off in a database that could be hacked. Apart from data encryption, multi-factor authentication is also useful when it comes to protecting sensitive data like Personal Identifiable Information (PII) and financial details that may be on your mobile device. Multi-factor authentication is also an essential component of cyber-security for many organizations, especially with the rise of cloud communications. Due to the increase in data breaches, a simple way to tackle it is through multi-factor authentication, more so on companies employing the BYOD (Bring Your Own Device) trend. Multi-factor authentication has also simplified the login processes by use of login options like sign-on. Sign-on works by validating the user through multi-factor authentication during the login process. Once the user is logged in, the single sign-on software gives the user access to the selected applications of the sign-on software without the need to log in each of them separately. With security breaches occurring on a daily basis, every organization and the mobile user should ensure that their sensitive data and information is heavily secured. As the BYOD trend is increasing among companies and businesses, the use of the more convenient multi-factor authentication will ensure that critical data stored on cloud-based servers or shared between mobile devices are safely protected. Implementation of multi-factor authentication is paramount for anyone who uses mobile devices. An amazing read. Very informative, I learned a lot. Thank you for sharing! Two Factor or multi-factor authentication has proven to be the best in terms of having your particular social/normal or any service’s account to be protected. Even many people I know had encountered them and they started using 2-factor authentication and then they don’t face such errors anymore.